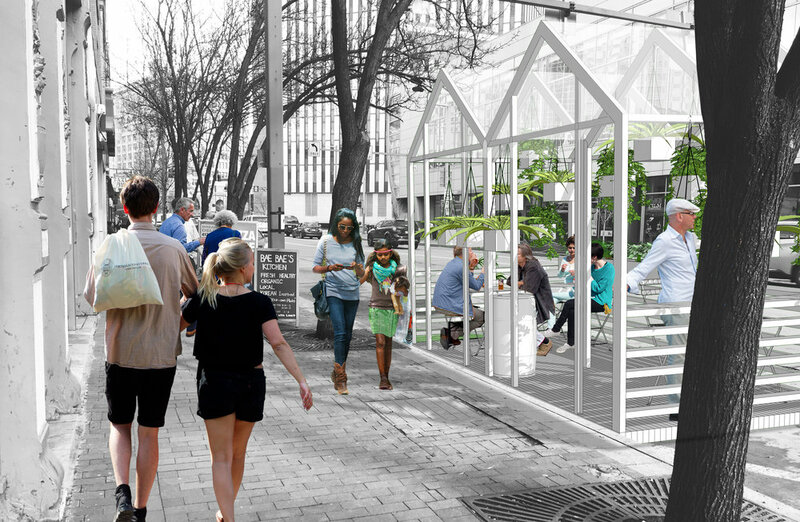 Bae Bae’s Greenhouse is one of two selected parklets featured as part of the City of Pittsburgh's Spark 2018 Pilot Parklet Program. 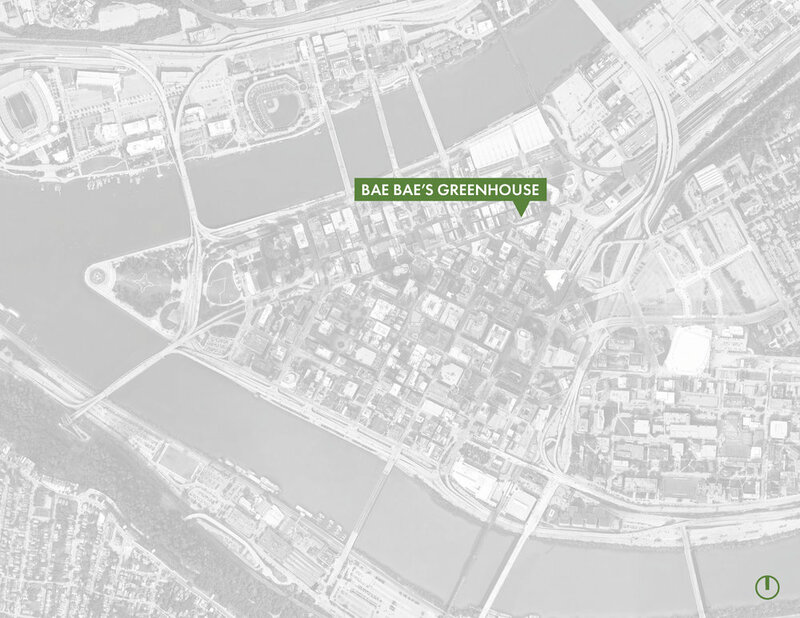 The parklet is located in front of Bae Bae's Kitchen in Downtown Pittsburgh. Bae Bae’s Greenhouse is designed as an urban oasis, inspired by the restaurant’s lush interior plantings, contemporary aesthetic, and sustainable mission. Bae Bae’s Kitchen, founded in 2017, is a Korean inspired eatery with a focus on locally sourced, healthy, organic ingredients. The public Spark will provide an expansion of the existing sidewalk, creating a much needed gathering space along Liberty Avenue. The location of the Spark compliments the results of the Pittsburgh Downtown Partnership’s (PDP) Life on Liberty initiative. The initiative identified Liberty Avenue’s public realm as too narrow, inadequate to support existing pedestrian traffic. The Life on Liberty plan proposes innovative public realm improvements, including transitioning the existing 900 block of Liberty Avenue from a parking lane to a “flexible zone” suitable for programming. These improvements prioritize pedestrian connections and safety, create dedicated transit amenities, reduce sidewalk congestion, and increase business opportunities. To-date PDP has established all-day metered parking along this block and is experimenting with a bus stop bump-out. 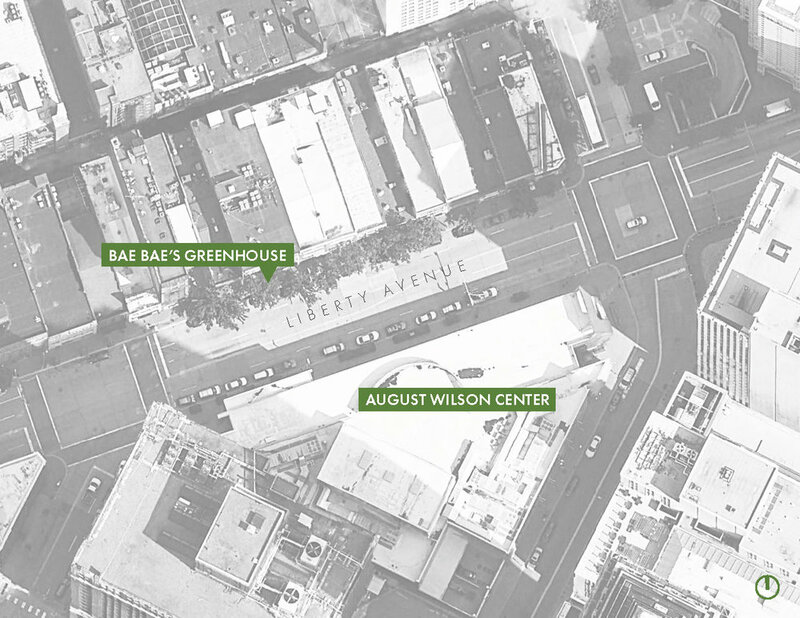 Bae Bae’s Greenhouse will extend the existing sidewalk in this zone, providing additional, programmable space along Liberty Avenue. 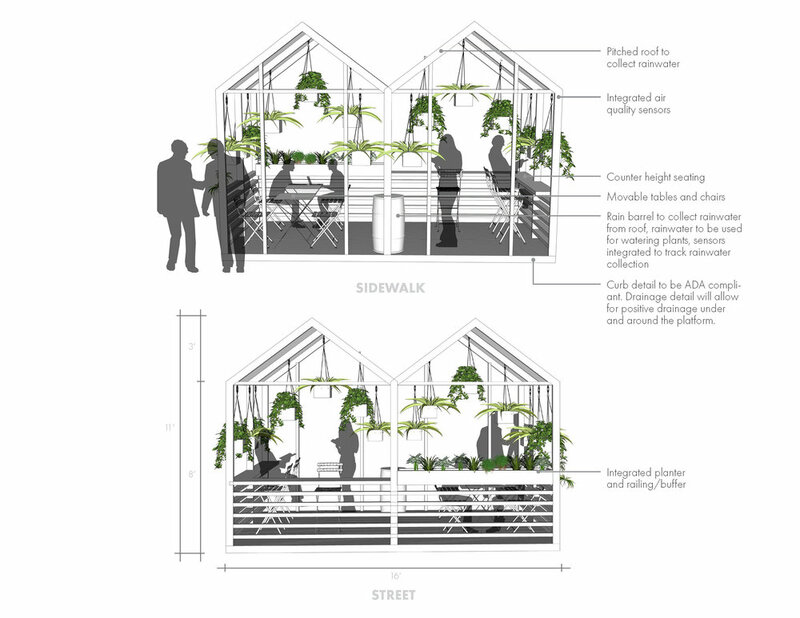 In addition to being an extension of Liberty Avenue’s public realm, Bae Bae’s Greenhouse is designed as a green machine, filtering air pollution and capturing stormwater with air filtering plants, pollution cleansing paint, and on-site stormwater collection. Plants have been selected for their ability to filter common Pittsburgh air pollutants, while low VOC paint with TiO2 nanoparticles neutralizes pollution causing nitrogen oxides from nearby vehicles. A integrated rain barrel captures and stores rainwater from the Spark roof. Rainwater is used to water the Greenhouse plants. Sensors monitor air quality and stormwater volume in real-time. Follow live performance metrics online on Twitter below or on the Greenhouse's website: www.baebaesgreenhouse.com. 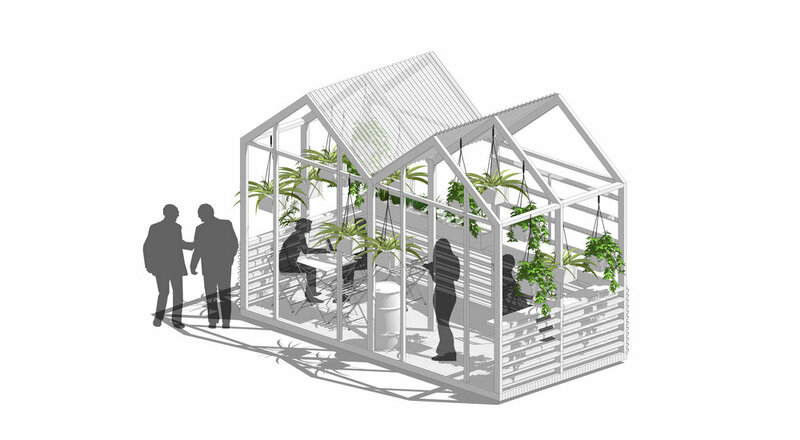 As a temporary structure, the Greenhouse becomes an innovative, pop-up form of green infrastructure.